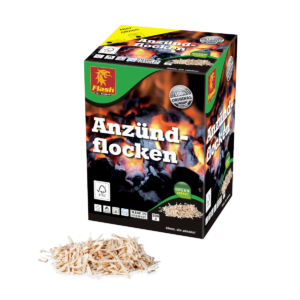 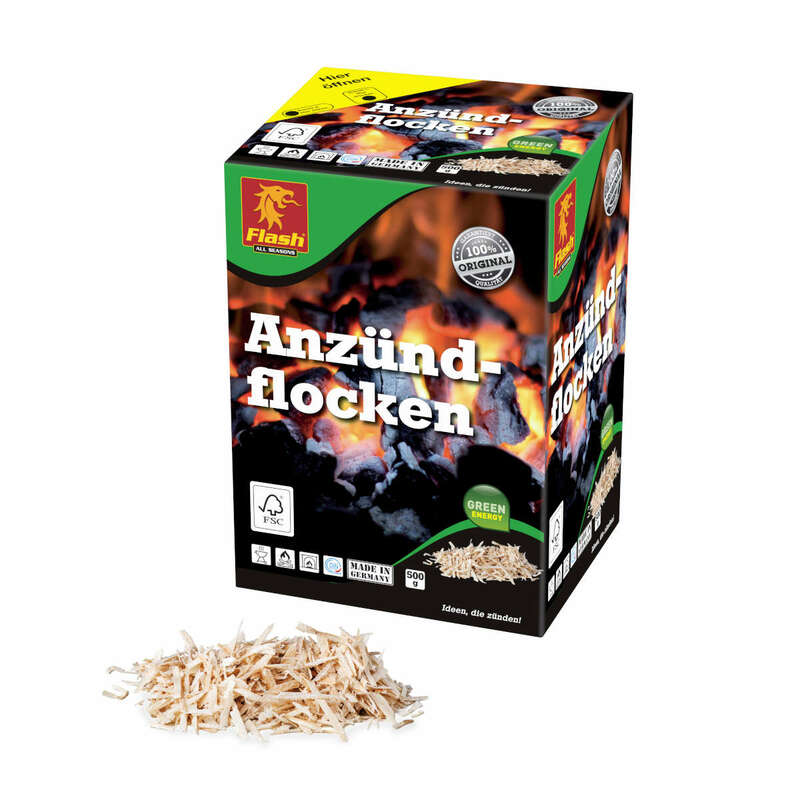 Firelighter flakes made of wood and vegetable wax for safe, low-odour and clean lighting of grill, stove and fireplace. 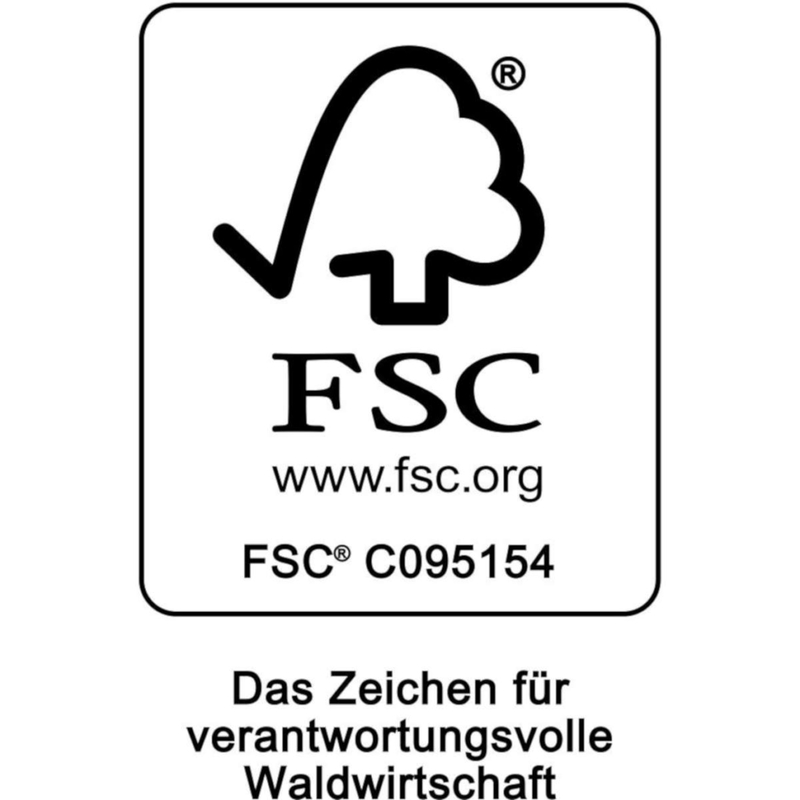 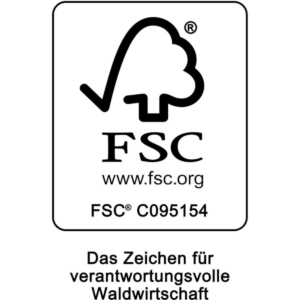 FSC®-certified product made from 100 % renewable resources. 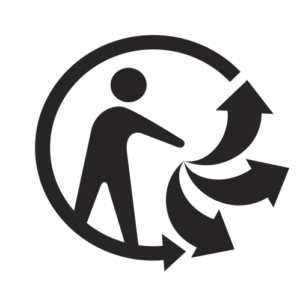 Easy dosage. 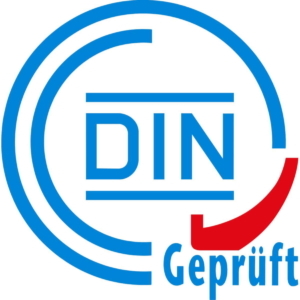 Compliant with DIN EN 1860-3.